My mother, who attended a college which contained parlors and a skirts-and-heels dress code for the all-female student body, passed many harrowing post-Christmas hours hovering over me at the kitchen table, engaged in battle over the matter of thank-you notes.Ã‚Â Ã¢â‚¬Å“Someone was nice enough to think of you, take the time to pick out a present, and spend their hard-earned money on you,Ã¢â‚¬Â sheÃ¢â‚¬â„¢d say as my little blonde head banged to the table, for I was missing valuable Texas Instruments computer time for this crap.Ã‚Â Ã¢â‚¬Å“The least you can do is say thank you.Ã¢â‚¬ÂÃ‚Â This with a child who grew up to produce words for a living. Now that I am old and thank yousÃ‚Â are more and more conveyed instantaneously, IÃ¢â‚¬â„¢m inclined to thank my mother for all the thanking, for I am finding that my needsÃ¢â‚¬â€œ-and my need to thankÃ¢â‚¬â€œ-are expanding more and more beyond any physical gifts. That is why, perhaps, I experienced a violent flash of anger when Joey Votto walked away from his truly remarkable season emptyhanded. No career-defining hardware. Lots of “finalst for”s but nothing to show for possibly the finest season for (I’m not including theÃ‚Â “arguably” qualifier here because I don’t find the matter arguable) finest player this team has ever seen. If you’re awesome, particularly amidst so much failure and mediocrity,Ã‚Â you should win stuff. You should get a proper thank you note. Ã¢â‚¬Å“Best PlayerÃ¢â‚¬â€ Fan InteractionÃ¢â‚¬Â is not a proper thank you note. It acknowledges his thoughtfulness off the field, but not on it. For Joey Votto was awesome, both by virtue of being awesome and by working hard at being awesome. Some gifts stem from a public career or vocationÃ¢â‚¬â€the musician, the pastor, the athlete who in the act of plying the trade had in some way positively affected an observer.Ã‚Â In some ways, modern thank-yous provide a flash connection to another human being we would otherwise never have contact with. While I once wrote a thank-you email to the used car dealership employee who over the course of a month patiently provided Ã‚Â various documents demanded from three DMVs across two states, I also tweeted former Bengals quarterback Boomer Esiason to thank him for inspiring me to a life of football fandom over twenty years ago.Ã‚Â Ã‚Â Both thanked me for the thank you (I was slightly more excited to hear from Boomer.) Thank yous are best when unexpected, but deafeningly silent when they don’t show for great feats. I’m betting that Joey Votto is the kind of person who doesn’t need shiny things to validate his awesomeness. He set the goal of a career year, and he had one. The man sleeps soundly, I am sure, upon his 1200 count bedsheets covering his mattress fashioned of the finest purple unicorn pelts. But for those of us constantly telling anyone in Granimals that hard work and dedication always wins, seeing Votto come up two votes shy of NLMVP is a baby chick-kicking moment. For every award showered upon him and each jersey he sells, he’s still underrated. He should have won MVP free and clear on the basis of the Cozart donkey trolling alone. That this no doubt bothers me more than it does him reasonably explains why I’m sitting here in sweatpants on a Pringles-dust covered chair from WalMart and he has the ready cash to raise a personal army to claim his native Canada for himself.Ã‚Â (This probably wouldn’t require much, however; a Nerf gun and the pointy end of a couple preschool scissors would likely do the job.) Votto can retire tomorrow and still live forever in the minds of men. I want my Narrative of Rewarded Awesomeness validated. In a career which is passion-driven, I can attest that tiny thank-you moments are the most cherished part of the job, whether from the self or from the recipientÃ¢â‚¬â€they are unexpected, they are verification of a lifepath, and they cannot be bought.Ã‚Â The joy with which my friends who are parents or educators report a moment of gratitude is a testimony to the power of the gesture.Ã‚Â It can be a little white square rectangle in the mailbox.Ã‚Â It can appear in under 140 characters.Ã‚Â But the Ã¢â‚¬Å“drive-by thank youÃ¢â‚¬Â in a world in which the instant statement is so often used to wound can heal a day, a week, even a life. And awards are capstones and can’t be crammed into one’s coffin, but, well, the record books can fit in a pocket, and last a lot longer than we do. Thank you for working hard and being awesome and being humble about being awesome. We needed a once-in-a-lifetime someone on this team right now, and that someone is you. Thank you for putting up astronomical numbers and thank you for doing so on a team for which seeing the playoffs is less likely than achieving the ability to summon wormholes on command. Thank you for showing up to the funeral of a small child with flowers in your hand.Ã‚Â Thank you for giving us a video clip of you in a donkey costume to make the sight of the starting pitching rotation bearable. Thank youÃ‚Â for notÃ‚Â caring what anyone says about anything, particularly the nice things I’m saying here. Thank you for all these things. I will use them. Thank you for the 987 words weÃ¢â‚¬â„¢ve spent together.Ã‚Â IÃ¢â‚¬â„¢m glad you were here. 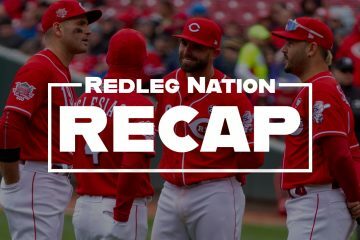 Podcast — RNR #189: Joey Votto was robbed! 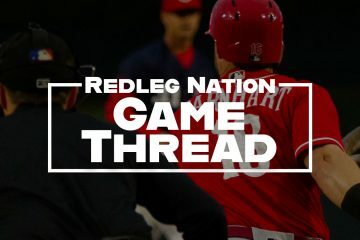 DRO: Will Jesse Winker win the 2018 Rookie of the Year award? In a world filled with the likes of LaVar Ball, Stephen A Smith and Skip Bayless, isn’t it nice to have M.B.. She strikes me as a genuinley good, caring and all around nice person. I look forward to her articles and hope to read many more. It’s nice to have YOU. Thank you Mary Beth Ellis and Thank you Joseph Daniel Votto. 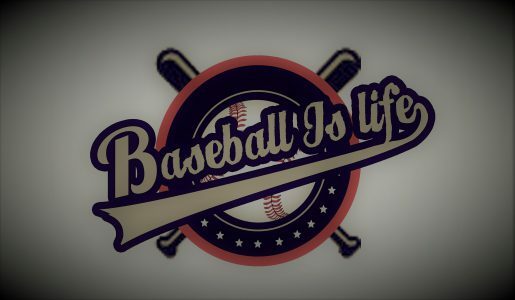 My baseball year was much more enjoyable because of each of you. I agree with CFD3000. Thank you for the reminder to say thank you ore often to more people. And thank you to Joey, he was the reason I watched in September, his awesomeness on the field is amazing and his awesome off the field, with Zach and the donkey suit and with Superbubz was inspiring. PS: I loved the taking Canada with a Nerf Gun and scissors comment. It was a funny comment, but my guess is that the Canadian military has some very tough people who only use Nerf guns when they’re off-duty. But thank you, Mary Beth. Your columns are always a delight to read. Oh, I’m sure he’d purchase the finest of the Canadian military as his own. Mounties all day long. He is really feeling comfortable and showing his sense of humor in the past couple of seasons. It’s wonderful. Thank you MBE. You are helping to make an excruciating off season more bearable. To say I look forward to the Monday regular column would be an understatement. I always read it and I always respond. Here’s to a good finish at the GM meetings and a fast start heading into 2018’s banner year for our Reds! Hm – …the finest player this team has ever seen. I think even Johnny Lee Bench would agree with that sentiment. Thank you, again, for providing such a wonderful way to pass part of our Mondays. Also Bench was the one who made me pause the most in the “finest” comparison. I can hear an argument for him. I learned to type on a Ti-99/4a before I could write my name! My dad had two and put one in my room to “make space”. I also spent most of my time with Munch Man, Tunnels of Doom, Parsec, and Bigfoot. Good times. Also learned to program and use BASIC (see what I did there?) word processing functions. I still have that machine in my parent’s house somewhere. I wish I had brought it with me and had it when my kids were younger. Those things were indestructible and such a great way to introduce kids to computers.